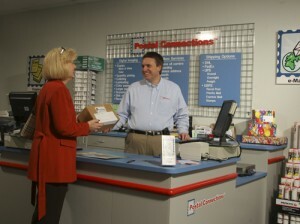 Postal Connections of America stores are built on good service. A recent survey suggests that purchasers appreciate the value of strong service-oriented businesses. In fact, 60% of Americans would try a new product or service if they felt they would receive a good customer experience and 70% are willing to spend an average of 13% more with companies they feel deliver good customer service. For the past three decades, America has been re-organizing how work is done resulting in a significant number of entrepreneurs and freelancers that offer products and services to the B2B or B2C markets. The unprecedented growth of web communications, home offices, portable work, service businesses, and world trade is driving American companies to look at work in a different way, driving workers from traditional employee status to become home-office representatives, contractors, vendors and consultants. There has been a significant growth of these kinds of small business people. They are always striving to be more productive by seeking the most convenient and reliable products / services. The U.S. Census indicates that small office / home office businesses have been increasing at a 49% rate over the last decade. It is estimated small businesses now number over 50 million U.S. entities and they need administrative support to serve their customers /clients / employers. Efficiency is critical and they use Postal Connections for their back office support in lieu of purchasing printers, fax machines, copiers which are all office mainstays. We help them compete locally and worldwide by providing a basket of essential services like mailbox rentals, computer rentals, printing, copying, faxing, shipping, packing, office supplies and much more, serving as the office for many small businesses.